Your body is overreacting to something that is normally not a problem to most people. Some foods and medicines can cause serious allergic reactions. Some particles in the air, called allergens, cause the most common symptoms: runny nose, watery eyes, itchiness, and sneezing. Tree pollen, grass, ragweed, mold, dander, dust and dust mites. Shower or bathe before bedtime to remove pollen and other allergens from your hair and skin. Stay inside on dry, windy days. Keep windows and doors shut, and use an air conditioner at home and in your car. To reduce mold, remove houseplants and clean shower curtains, bathroom windows, and indoor trash cans often. To reduce pet dander, use allergen-resistant bedding, bathe your pet often, and use an air filter. If your allergies are severe, you may need to give your pets away or keep them outside. To reduce dust mites, remove drapes, feather pillows, soft furniture, nonwashable bedding, and soft toys. If possible, remove carpeting. Mop and vacuum regularly. Vacuum soft furniture and curtains, as well as floors. Cover mattresses and pillows with protective covers. Lower the humidity in your home with a dehumidifier. What medicines can I take to help relieve my symptoms? Consult with your local FastMed Urgent Care to find out what is best for you. Nasal steroids, which can be obtained only by prescription, are the most effective treatments for allergic rhinitis. 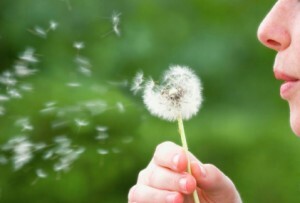 Antihistamines help reduce sneezing, runny nose, and itchiness. They’re more useful if you use them before you’re exposed to allergens. Decongestants help relieve stuffy nose. For severe allergies, your provider may recommend combination treatments, such as nasal sprays, eye drops, and steroids. Using a salt-water solution to wash out the inside of your nose can ease sinus symptoms. This is an easy and safe thing to try before you use any medicines. You can also use this in addition to your allergy medicines. These shots contain small amounts of allergens. They’re given on a regular schedule so that your body gets used to the allergens and no longer overreacts to them. The effects of shots can last over an extended period.